Stellaris is the game that makes so much sense it’s hard to believe Paradox haven’t made it before – a space 4x adventure into the unknown for territorial spats with aliens who have tentacles dangling from their faces. Prefer your space contested? Try one of the best strategy games on PC. If you’d prefer for their faces to be doing something else, well, that can be arranged. 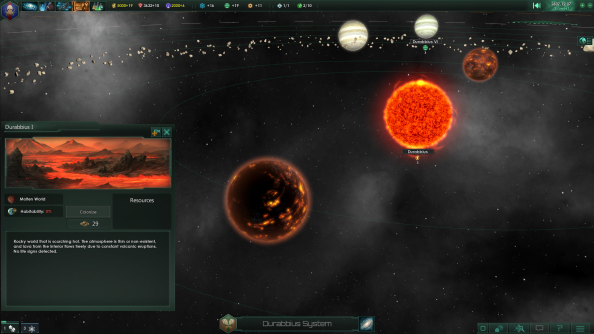 Paradox have developed Stellaris with a simple philosophy: if it’s exposed to the player, it can be modded. Stellaris isn’t out til May 9, but the studio released a Maya exporter to the community yesterday. The tool can be used to create the same sort of animated 2D character portraits used during diplomacy with alien races in the game proper – although the option for simpler, static avatars is also there, along with costume swaps to signify the speaker’s rank or role as admirals or scientists. Perhaps more intriguing still are the possibilities for ship modelling enabled by the Maya exporter. There’ll be scope for full-on total conversions too, in the proud Paradox tradition that allowed for the popular Crusader Kings II Game of Thrones mod. What are you hoping for?